In a January 25th op-ed posted on Bloomberg, Yale Law professor Stephen Carter raised issues about the lawfulness of the raid by U.S. Navy SEALS that killed Osama Bin Laden in Abbottabad, Pakistan in 2011. Professor Carter suggested that legality turned on “whether the mission orders were to capture or to kill” Bin Laden, and indicated concern about the propriety of the raid “if the mission orders were indeed to kill.” There is no reason for his fretting: the raid was fully legal. To be clear, an otherwise lawful wartime mission is not rendered improper simply because the orders call for the killing of an individual combatant who is properly targetable under the law of armed conflict. Allow me to explain why. The context of Professor Carter’s op-ed was a January 25th decision by the Court of Appeals for the District of Columbia Circuit which affirmed a grant of summary judgement against Judicial Watch. That organization sought the release of five legal opinions rendered by various government attorneys about the Bin Laden raid. Carter said the decision “seems” to be the right interpretation of the Freedom of Information Act. I agree with Professor Carter on that point (and will discuss it a bit more below), but right now I want to clarify any issues about the law of armed conflict (LOAC) and the raid. Specifically, the professor appears to think that killing an individual combatant in an armed conflict is an illicit “assassination.” That’s a misunderstanding. Let’s get the basics out of the way. Not every terrorist is targetable under LOAC (sometimes called International Humanitarian Law or IHL) which is limited to conflicts of sufficient scope and intensity and scope to warrant treatment under a “war” legal regime. Other terrorists are covered by international human rights law (IHRL), which is essentially a law enforcement legal construct. (Geoff Corn and his co-authors have an excellent chart – found here – in their text, The Law of Armed Conflict: An Operational Approach, which compares and contrasts the two legal frameworks). At one time, there was some dispute as to whether LOAC could ever apply to non-state actors like terrorists, but since 9/11 that is no longer much of a controversy. In any event, the U.S. has long taken the positon that it is in an armed conflict with Al-Qaeda (see here and here), and it’s been reiterated by the current administration. Consequently, the best view of the law today is that non-state terrorists who are members of organized armed groups engaged in continuous combat operations (in a conflict of sufficient scope and intensity to trigger LOAC applicability) are lawfully subject to targeting, just as members of traditional militaries are. This means they can be attacked virtually anytime and anywhere. (Don’t confuse policy restraints with what the law might actually permit.) There was – and is – little question as to centrality of Bin Laden to Al Qaeda’s operations, and documents seized in the raid confirm his role. In 1989 Hays Parks, then a Department of Defense official, wrote the definitive memorandum regarding the legal meaning of “assassination.” I very much encourage you to read the full text, but I’ll give you a few highlights. Peacetime assassination…would seem to encompass the murder of a private individual or public figure for political purposes, and in some cases…also require that the act constitute a covert activity, particularly when the individual is a private citizen. Assassination is unlawful killing, and would be prohibited by international law even if there was no executive order proscribing it. [C]ombatants are legitimate targets at all times, regardless of their duties or activities at the time of attack. Such attacks do not constitute assassination unless carried out in a “treacherous” manner, as prohibited by article 23(b) of the Annex to the 1907 Hague IV. While the term treacherous has not been defined, as previously noted it is not regarded as prohibiting operations that depend upon the element of surprise, such as a commando raid or other form of attack behind enemy lines. Additionally, in the immediate aftermath of the raid, there was some controversy about the fact that it took place in Pakistan without the permission or even advance notification of that government. In this instance the U.S. relied upon the legal concept applicable to nations who are “unwilling or unable” to take effective action against threatening actors within their borders who present threats to Americans. In such situations the U.S. reserves the right to use force against such threats, notwithstanding the sovereignty of the national involved. Though controversy about the “unwilling or unable” norm still exists generally, at least insofar as to its application in the particular factual circumstances of the Bin Laden raid, the weight of opinion is clearly supportive. Some people also questioned the need for the raiders to kill Bin Laden, charging that he was hors de combat as a result of his being shot. As the International Committee of the Red Cross puts it, you can’t attack “anyone who is defenseless because of unconsciousness, shipwreck, wounds or sickness.” But merely being wounded doesn’t necessarily render someone hors de combat; indeed, the annals of military history are filled with episodes where very badly wounded individuals continued to fight. 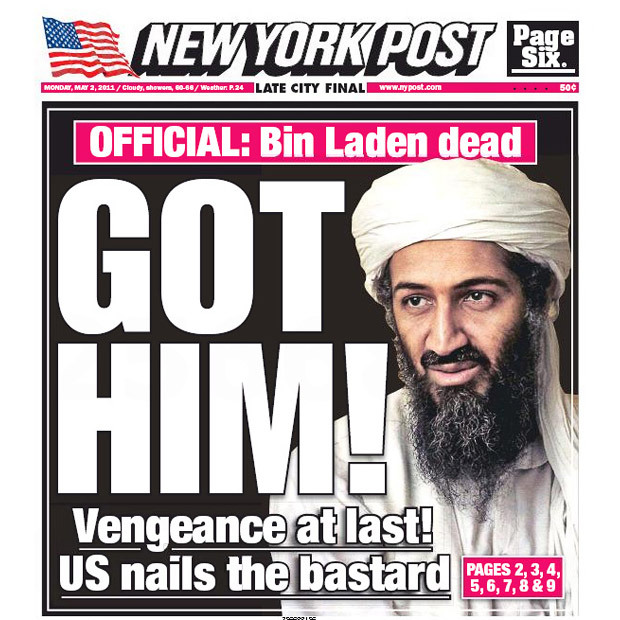 In short, in the Bin Laden raid there was no violation of the proscription against attacking those hors de combat. In this connection it’s important to know, as the DoD Law of War Manual puts it in paragraph 2.2.3.1, that the law of armed conflict does not “require that enemy combatants be given an opportunity to surrender before being made the object of attack.” This means that even if the mission was to kill Bin Laden instead of trying to capture him, it would not have been unlawful for that reason. [T]his rule would not prohibit offering rewards for the capture of unharmed enemy personnel generally or of particular enemy personnel. Similarly, this rule does not prohibit offering rewards for information that may be used by combatants to conduct military operations that attack enemy combatants. (Emphasis added; citations omitted). There is no evidence the sort of reward offered in the Bin Laden case was a prohibited one. Finally, as promised above, here is a little on the Court of Appeals decision that sparked Professor Carter’s op-ed in the first place. 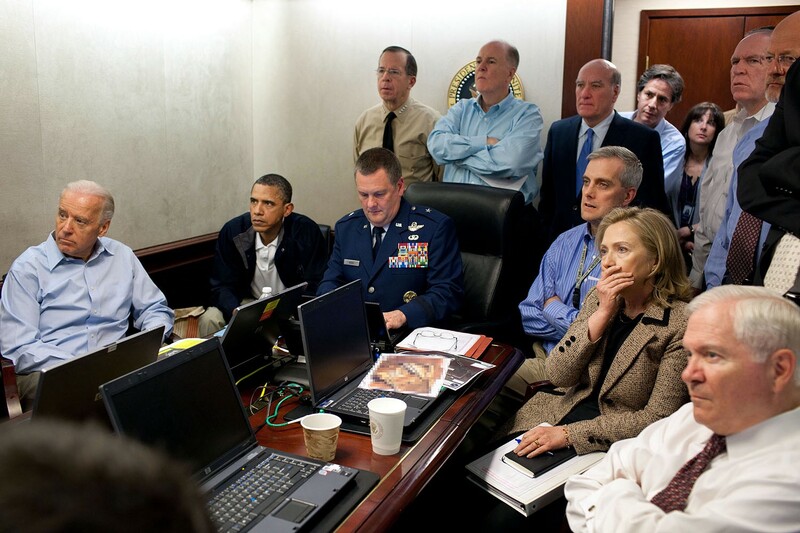 It did not in any way get into the substance of the propriety of the Bin Laden raid as we’ve been discussing. Rather, it exclusively addressed the issue as to whether or not the legal opinions by government lawyers concerning the raid ought to be released. Exemption 5 protects “inter-agency or intra-agency memorandums . . . that would not be available by law to a party other than an agency in litigation with the agency [. ]” 5 U.S.C. § 552(b) (5); see NLRB v. Sears, Roebuck & Co., 421 U.S. 132, 149 (1975). It covers the presidential communications privilege, the deliberative process privilege, and the attorney client privilege. See Loving v. Dep’t of Def., 550 F.3d 32, 37 (D.C. Cir. 2008). Here, the extraordinary decision confronting the President in considering whether to order a military strike on Osama bin Laden’s compound in Pakistan cries out for confidentiality, and the district court’s application of the presidential communications privilege rested on consideration of the appropriate factors. This is the right decision (although it does appear that much of the substance of those opinions has already been leaked to the press). Still, it behooves government – and especially the President – to have government lawyers writing opinions with frankness and candor. This is especially so when the legal advice is needed on an urgent basis, and there isn’t time to craft it for public consumption. Of course, transparency is vitally important for democracy, and leaders need to be held accountable for their decisions, but let’s not chill the ability of advisors – legal or otherwise – to give their best, pre-decisional advice.